Designing control logic that commands a dynamic system to maximize performance while minimizing cost is a common objective in such diverse fields as economics, medicine, robotics, chemical process control, and vehicle engineering. This course presents mathematical foundations and numerical methods for optimal control of these systems. 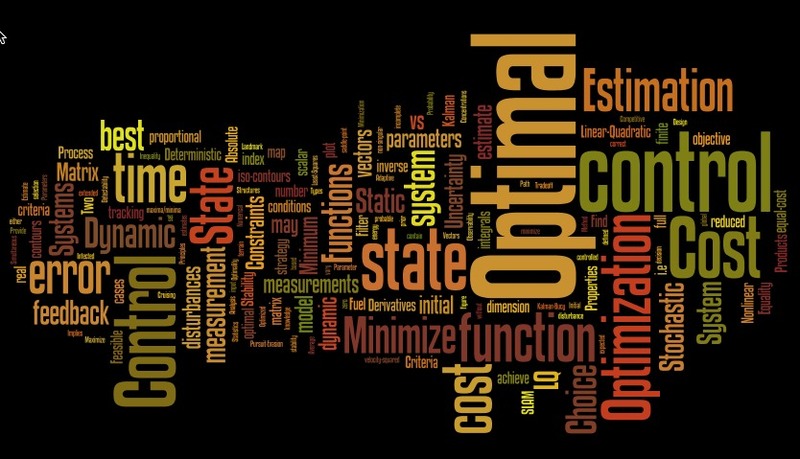 The course explores conditions for deterministic optimality of nonlinear systems, effects of state and control constraints, singular control, parametric and gradient-based optimization, and linear, neighboring-optimal feedback control. Linear-quadratic (LQ) control is examined via time-domain and frequency-domain analyses. Disturbances and measurement error can affect the quality of optimal control. These factors are accounted for by including optimal linear and nonlinear state estimation in the design process. The Kalman filter, Extended Kalman Filter, particle filters, and linear-quadratic-Gaussian (LQG) regulator present underlying structures for this discussion. 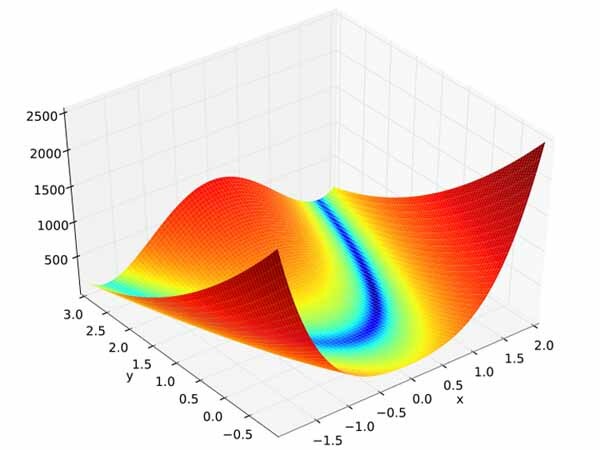 Model-referenced control systems that adapt to changing systems parameters are introduced, and robustness of control in the presence of system parameter uncertainty is investigated. Neural Networks for Control History Optimization. Anderson, B., and Moore, J., Optimal Control: Linear-Quadratic Methods, Prentice Hall, 1990. Brogan, W., Modern Control Theory, Prentice-Hall, 1991. Bryson , A. E., Jr., and Ho, Y. C., Applied Optimal Control, Hemisphere, 1975. Dickinson, B., Systems: Analysis, Design, and Computation, Prentice Hall, 1991. Gelb, A., ed., Applied Optimal Estimation, MIT Press, 1974. Graham, A., Kronecker Products and Matrix Calculus: with Applications, J. Wiley, 1981. Grantham, W., and Vincent, T., Modern Control Systems Analysis and Design, Wiley, 1993. Hull, D., Optimal Control Theory for Applications, Springer-Verlag, 2003. Kwakernaak, H., and Sivan, R., Linear Optimal Control Systems, Wiley, 1972. Maciejowski, J., Multivariable Feedback Design, Addison-Wesley, 1989. Maybeck, P., Stochastic Models, Estimation, and Control, Academic Press, 1982. Skelton, R., Dynamic Systems Control, Wiley, 1988. Zhou, Z., Doyle, J., and Glover, K., Robust and Optimal Control, Prentice Hall, 1996.